Virgin Media Television have been churning out some very high-end promos of late. We’ve had the privilege of adding some finishing touches and a grade to a couple of them. The first grade we produced was for a new Ireland’s Got Talent promo. The commercial features the IGT judges, strutting their stuff in a fast-faced fun-filled edit set to Fergie’s ‘A Little Party Never Killed Nobody’. The set was an open studio space, with stage rigs and industrial lights set amidst a carnival of dancers, fire eaters and acrobats. The footage was all shot in a log colour space, capturing as much information as possible. When looking at the untreated footage there is minimal sharpness and contrast. Check out the before and after screen grabs taking from Da Vinci Resolve. On the left is the untreated footage and the right shows the final grade. Because some of the shots were quite dark, noise and grain inevitably crept in. Noise reduction was needed to help keep the shots looking polished and pristine. More complex work such as rotoscoping and facial tracking were also employed on certain shots. See the final result for yourself. 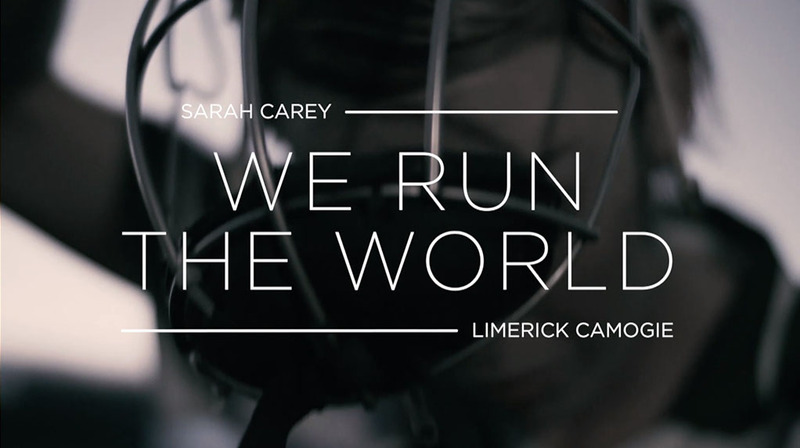 To promote Virgin’s coverage of 2019’s Guinness Six Nations, a second promo was shot. This one featured big names including; Ronan O’Gara, Shane Horgan, Matt Williams, and presenters Sinead Kissane and Joe Molloy. 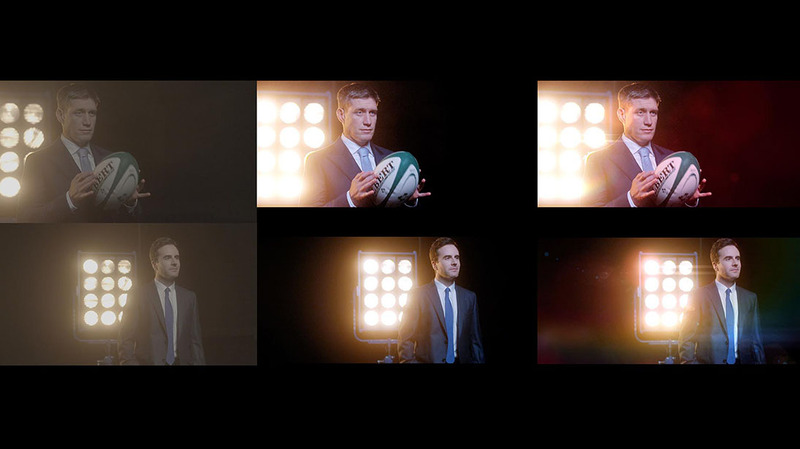 The promo combined these shots with a whole host of amazing moments from last year’s winning Six Nations. 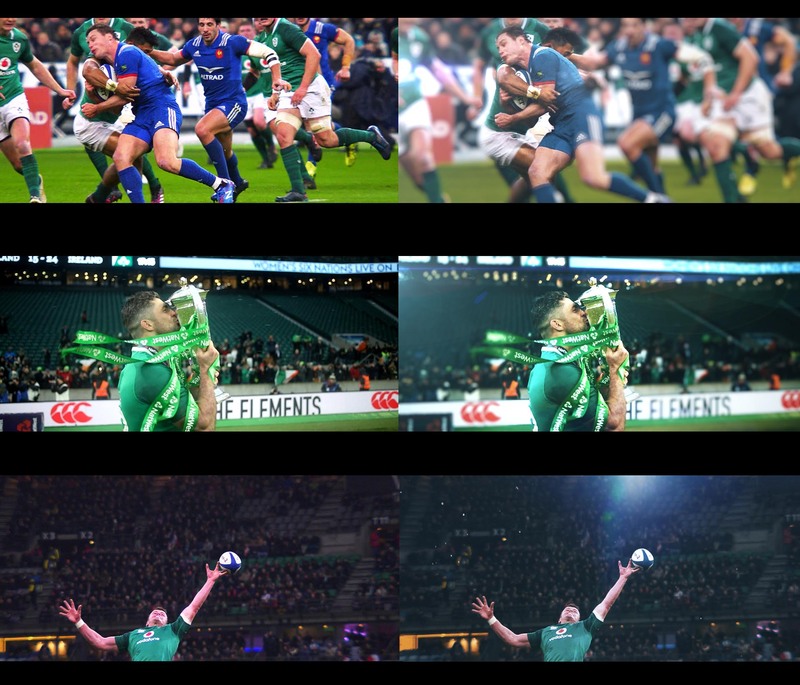 Many of the rugby clips came from different sources, so the task of grading all the shots to give them a similar look became more complicated. Once this task was complete we went about the second part of the job which was to further enhance the shots with atmospherics and light effects. Snow particles, explosions of dust on impact shots, light leaks and artificial depth of field were all created to help enhance each individual shot. Similar enhancements were also carried out on the shots of panelists. Below you can see the before and after of the grade. 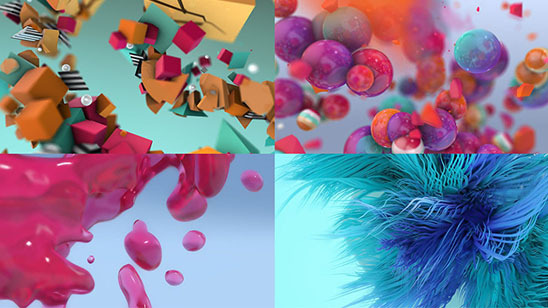 The third image on the far right represents the final result which includes additional light effects. The final promo is currently on air, but here it is, in case you missed it. 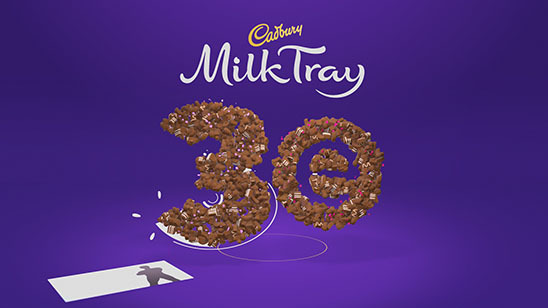 We’d like to take this opportunity to thank Shane Mulvey who directed both shoots, Emmanuel Stafford and James McGowan who worked with us throughout the process, and the whole promos team at Virgin Media who are always a joy to work with.